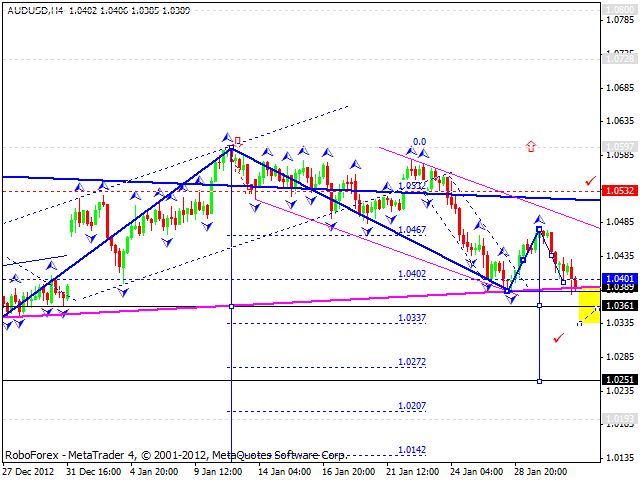 The EUR/USD currency pair reached the targets of the third ascending wave; now it may be considered completed. Today we can see that the price started falling down, has already broken the latest ascending channel, and right now is forming the first descending impulses, I expect three of them at least. Only after that we can define if this descending movement is strong enough to start a correction. 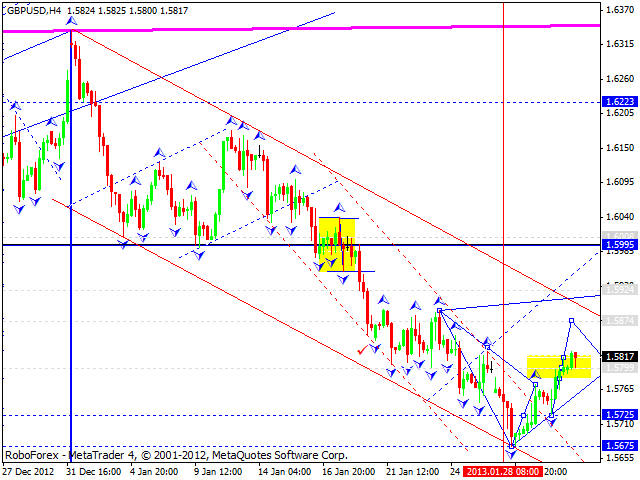 If it is, the target of the correction will be at the level of 1.3080. 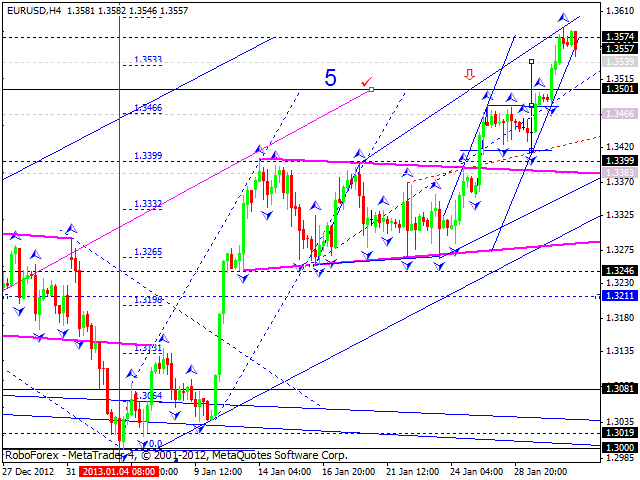 The GBP/USD currency pair continues forming an ascending wave; it is moving towards the target at 1.5870. Later, in my opinion, the price may start a correction towards the level of 1.5800 and then grow up and reach the target at 1.5920. According to the structure of the movement, I may assume that the pair is starting a new ascending wave with the target at 1.6400. 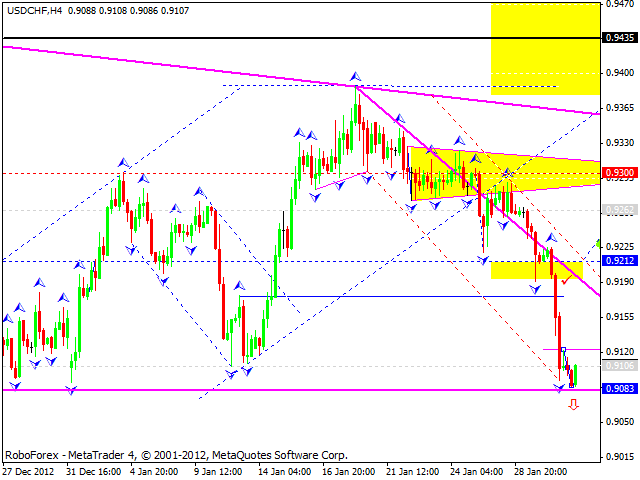 The USD/CHF currency pair continues moving downwards; however it hasn’t been able to renew the maximum of this wave. I think today the price may start a new ascending wave and form first three impulses. The USD/JPY currency pair is still consolidating near its maximums; the market is forming another continuation pattern near the level of 90.85. I think the market may try to test the lower border of the current trading range and then continue growing up towards the target at 93.70. Australian Dollar couldn’t form several ascending structures, just one. 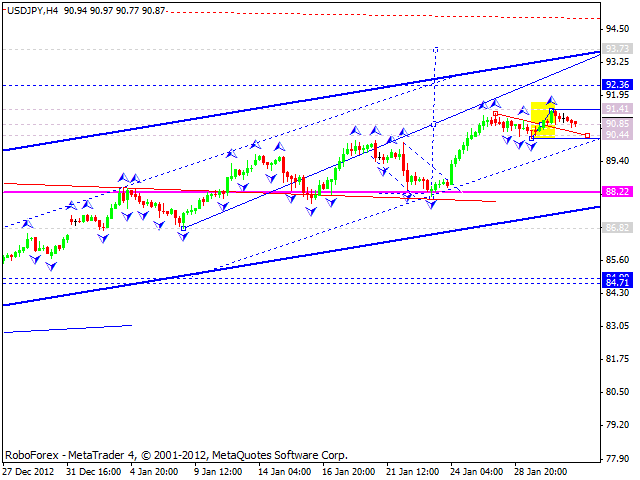 Today we can see that the pair is falling down to break the previous five-wave structure downwards. I think the price may continue moving downwards to reach and break the target at 1.0360, consolidate for a while, and then fall down again. The next target is at the level of 1.0250. 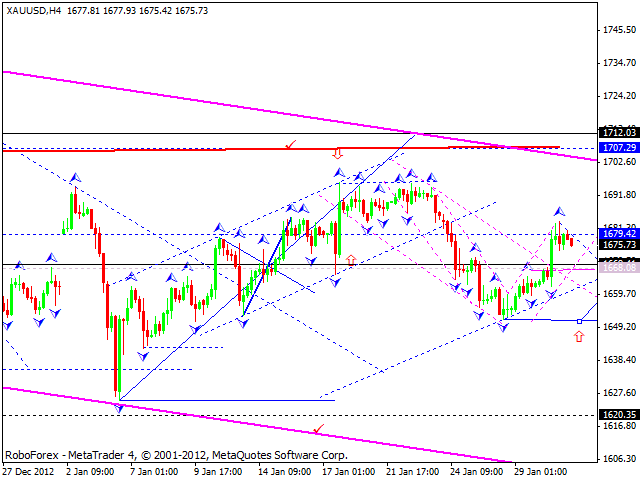 Gold is forming an ascending wave and consolidating near the level of 1680. I think today the price may form a trading range between the levels of 1690 – 1670. Later, in my opinion, the instrument may leave this range upwards to reach the target at 1707 and then start a new descending movement towards the level of 1620.